Learn about the Miracle at Carville, the cure for leprosy! When someone thinks about Louisiana, Hansen’s Disease, or the cure for it, is not the first thing that comes to mind. It turns out, back in the day, there was a leprosarium right down the street from Baton Rouge in Carville, Louisiana. In this leprosarium was the Sacred Heart Chapel that was built for the lepers to go to mass on a regular basis. It was run by the Daughters of Charity which was started by Vincent de Paul in France. The Daughters of Charity wanted what was best for their patients so they worked many long days and long nights to find a cure for leprosy. Many years later, the leprosarium in Carville was gaining a large amount national attention. All of the work that the Daughters of Charity did was finally paying off. Their work helped discover the cure for leprosy in the 1940s. Many years after the cure was found, different leprosy clinics were opening around the state of Louisiana and the rest of the country. The Daughters of Charity remained in Carville until the early 2000s. The Sacred Heart Chapel was built in 1933 and is still up and running today. This chapel was built in “Mission Revival style with Romanesque details” (A Brief History of Sacred Heart Chapel). When it was built, this is where the Daughters celebrated mass everyday with the patients. Religion was an important thing to everyone involved during the 100 years the Daughters of Charity were in Carville. 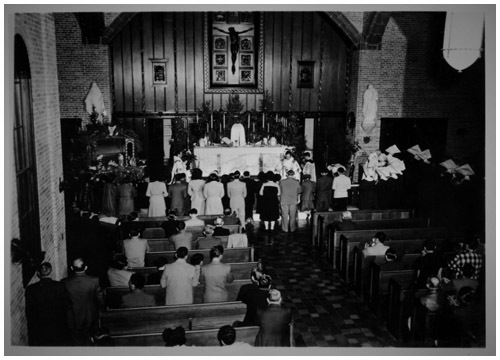 Saying mass in Sacred Heart Chapel : Historic Photo of people saying mass in the chapel ~ Source: Carville Mass. 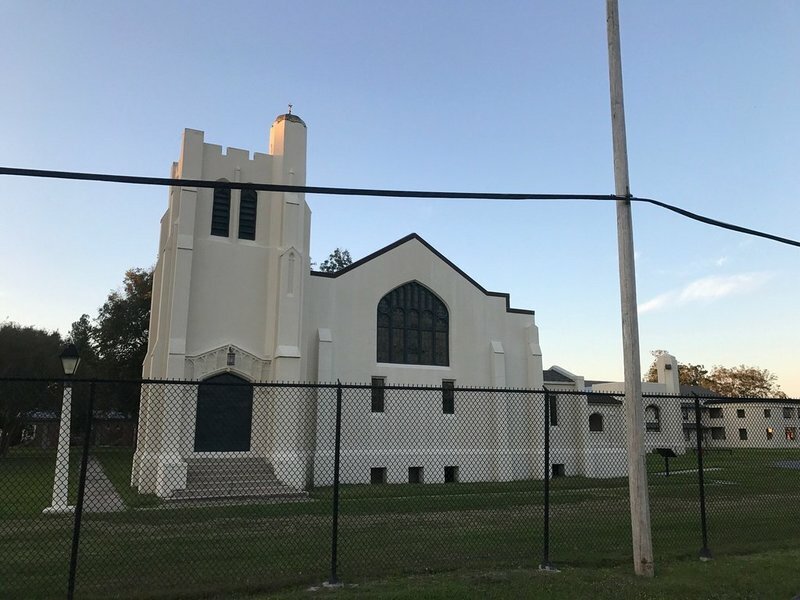 A Brief History of Sacred Heart Chapel, Carville, St. Gabriel & Sacred Heart Churches, 2018, www.stgabrielcatholicchurch.com/history/sacred-heart-chapel/. 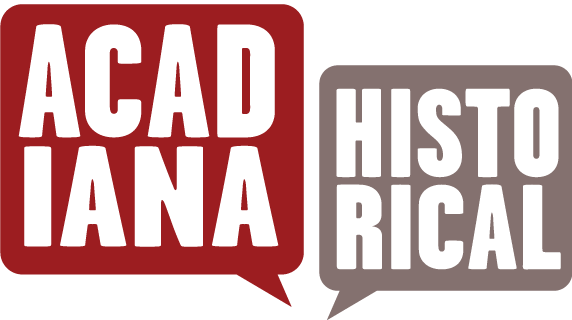 Accessed 3 May 2018. 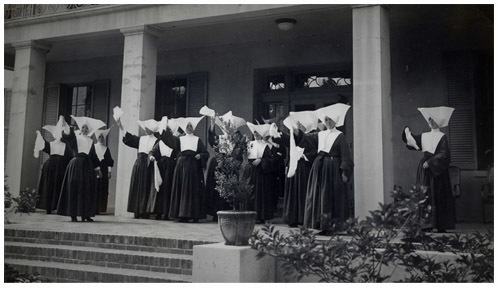 Daughters of Charity : Historic photo of Daughters of Charity waving ~ Source: Sisters Waving Goodbye. A Brief History of the Sacred Heart Chapel, Carville, St. Gabriel & Sacred Heart Churches, 2018, www.stgabrielcatholicchurch.com/history/sacred-heart-chapel/. Accessed 3 May 2018. Sacred Heart Chapel : Current Sacred Heart Chapel on the grounds of the National Hansen's Disease Museum ~ Source: Carville Life. Sept. 2017. National Hansen's Disease Museum, TripAdvisor, 2018, www.tripadvisor.co.za/ Attraction_Review-g40067-d2189078-Reviews-National_Hansen_s_Disease_Museum-Carville_Louisiana.html. Accessed 3 May 2018. Sophia Verret, “Lepers in Louisiana ,” Acadiana Historical, accessed April 22, 2019, https://acadianahistorical.org/items/show/39. Published on Apr 26, 2018. Last updated on Sep 4, 2018.